KCON 2016 presented by Toyota revealed on April 21 that Twice, one of the top new rookie girl groups in K-pop, is joining the KCON 2016 Los Angeles lineup. Also, one of South Korea’s hottest boy bands, and Billboard Hot 100 chart topper, BTS will be headlining KCON NY. Celebrating its fifth anniversary, KCON USA is the world’s largest Korean culture convention and music festival. KCON NY is returning to the Prudential Center and will expand to two nights of concerts running June 24-25. KCON LA kicks off a month later and takes place July 29-31at the Staples Center and Los Angeles Convention Center. Twice is a nine member girl group under JYP Entertainment that debuted in 2015 through the reality show “Sixteen.” The members are Nayeon, Jeongyeon, Momo, Sana, Jihyo, Mina, Dahyun, Chaeyoung, and Tzuyu. Their first mini-album “The Story Begins” featured the title track “Like OOH-AHH,” which was well received by the public. The music video for that song hit 50 million views within five months of its release and is now the most-viewed debut music video for any K-pop group. · BTS (also known as Bangtan Boys consists of Rap Monster (랩몬스터), SUGA (슈가), Jin (진), J-hope (제이홉), Jimin (지민), V (뷔), Jung Kook (정국)) debuted in 2013, and has shown remarkable growth and success as the next generation of K-POP boy groups. They’re leading the Korean wave in the music market not only in Korea but also Japan, Asia and all over the world. BTS is an incredibly talented group with high potential given they also compose and write their own songs. They give full-fledged performances and have enormous energy on stage. 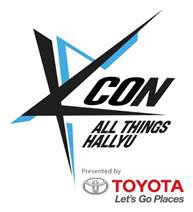 For a full list of artists announced so far, visit kconusa.com. Additional artists will be announced in the upcoming weeks. Prices will range from $50 to $250 for single tickets and $800 for platinum ticket that offers access to all concerts and the convention. For more information and the latest KCON news, we invite fans to visit kconusa.com and follow @KCONUSA on Twitter, where artist lineups and ticket information will be announced. They can also join the conversation with #KCON16NY and #KCON16LA. CJ E&M produces and distributes content for the broadcast, film, music and live entertainment. Seeking to promote the globalization of Asian pop culture through a strategic “one source, multi-content” approach, the company was formed in 2010 from a merger of leading content makers CJ Media and On Media (broadcast); CJ Entertainment (motion picture); Mnet Media (music); and CJ Internet (game). Through the years, these predecessor firms were instrumental in modernizing as well as winning a following for Korean contents from fans across the world. Headquartered in Seoul and with branches in Asia and the US, CJ E&M currently has over 2,000 employees worldwide and is traded on KOSDAQ under the ticker 130960. For more information, please visit: en.cjenm.com.